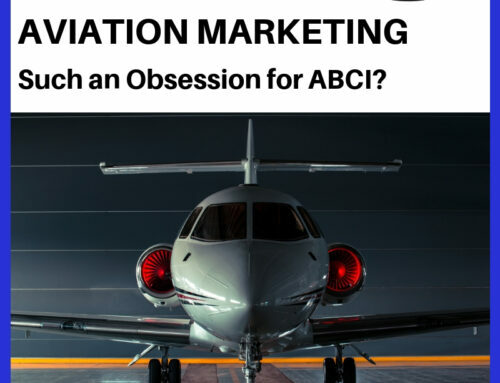 It can be a great idea to “borrow” a few aviation marketing strategy ideas from other industries, especially for those factors we share in common! 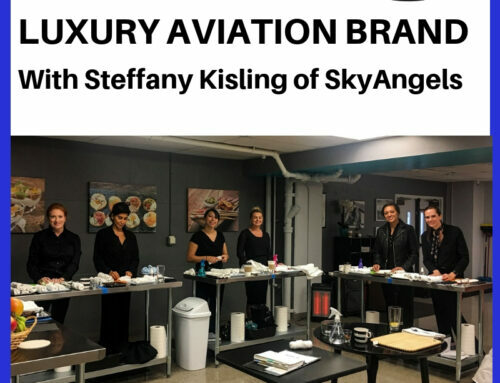 The Walt Disney empire marketing have three strategies in common with aviation marketing – appealing to a high-end, aspirational culture; exceeding expectations, and surrounding customers with a great experience. 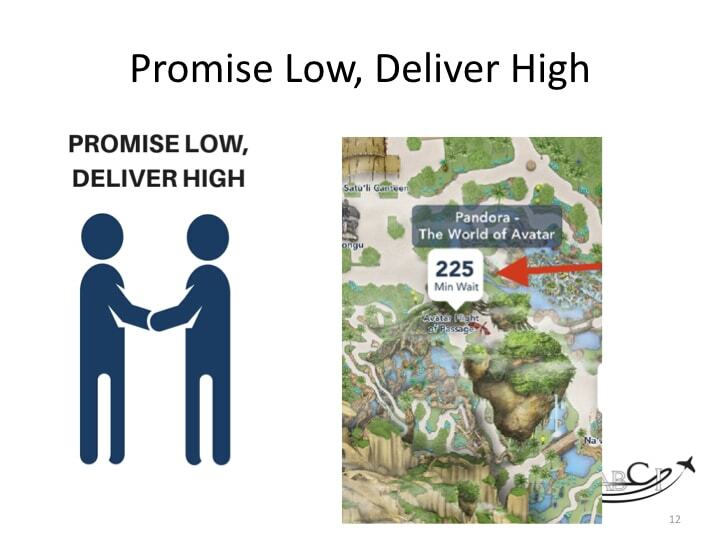 Why Borrow Aviation Marketing Strategy ideas from Disney? 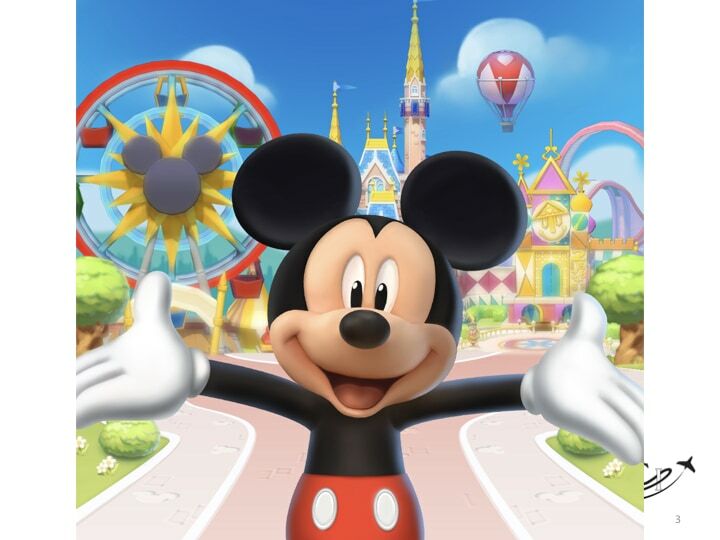 What does Disney have to do with aviation marketing? The Walt Disney empire has experienced amazing success in this marketplace by thoroughly understanding the culture it lives in. People want to be entertained. Consumers today value experiences over things. Customers value safety and are willing to pay for it. People want to enjoy time with their families, friends and coworkers. Customers are willing to pay for quality. We’re willing to bet that your customers share some, if not all, of these attributes. 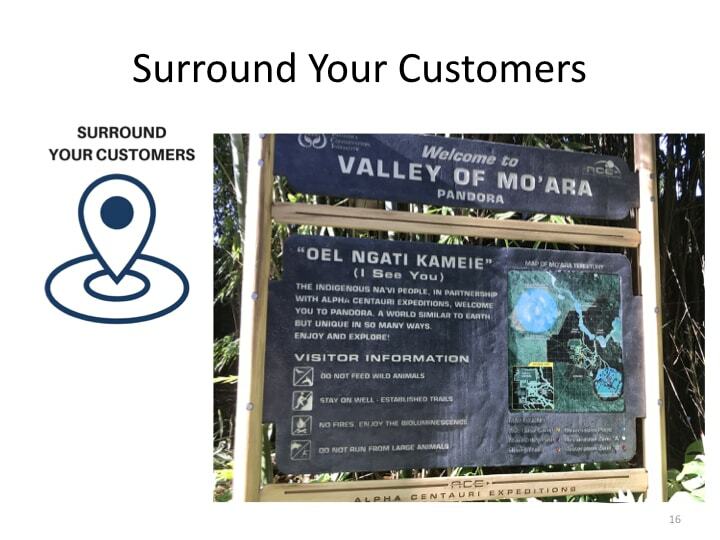 A quick shoutout to Vance Morris, a member of a Peak Performers group member we shared ideas with. 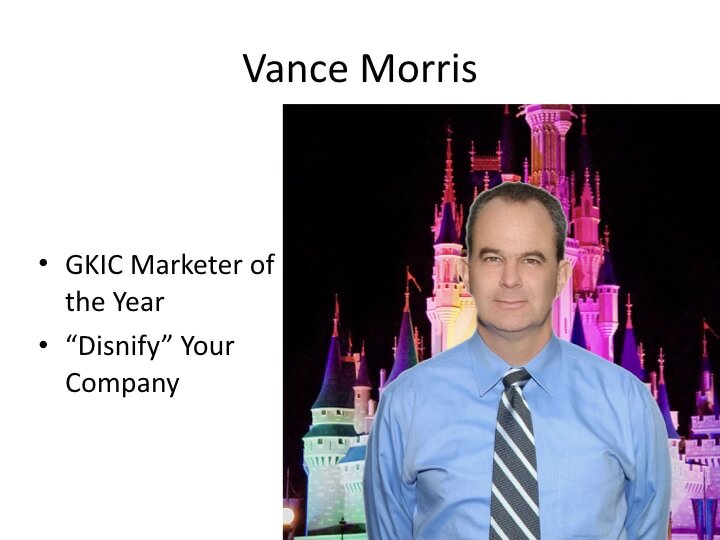 Vance’s entire consulting practice is built around “Disnefying” businesses. 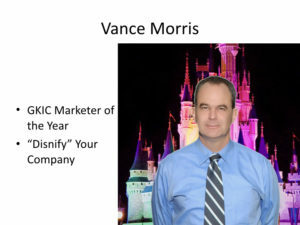 If you think “Disnefying” an aviation company sounds like a challenge, Vance’s clients are as diverse as carpet cleaning and concierge dental services. All of them benefit from Disney-inspired improvements. So, what brings up this idea at this time? Frankly, it was a bit of fun. During our recent Road Trip to NBAA, we managed (planned, actually) to arrive a day early to spend some time in Walt Disney World. One of our “must see” attractions was Pandora, a part of the Walt Disney Animal Kingdom designed to look like the planet Pandora, the setting for the blockbuster film Avatar. One of the rides involved flying an Ikran – an amazing lizard creature with wings. So, of course, we got in line. So, three things we noticed about Disney (and of course we talked about them in the SUPER long line for this attraction. Strategy #1 – Raise your prices. The Orlando Sentinal snidely reported that “In this world, nothing is certain but death, taxes, and Disney price hikes. Your product is the “aspirational” choice. 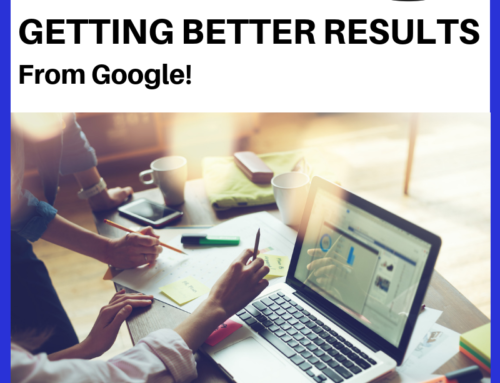 You can afford better suppliers, team members, training and customer service. 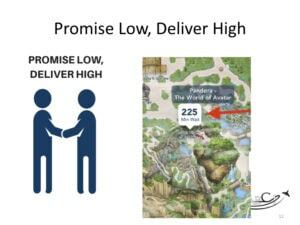 Disney did this by indicating on their app and via “cast members” in the park that there was a “three hour wait” for this ride. This persuaded many people who didn’t have their hearts set on this particular ride to go do something else. Those stubborn souls like ourselves found that the wait was actually more like 90 minutes. And worth it! They do this by promising low and delivering high. People were not surprised or disappointed, or even much daunted by the long wait. If they were unhappy about it, they had only themselves to blame, since they had plenty warning. Listen in on your sales folks from time to time to be sure that the promises they are making are setting expectations appropriately. 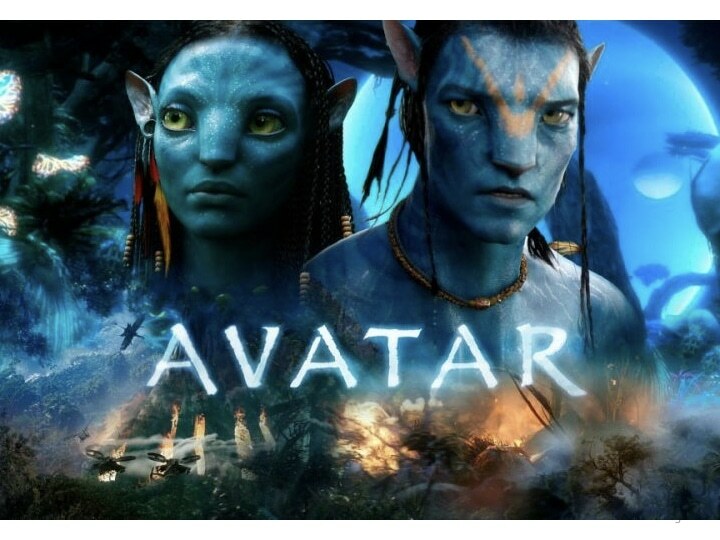 So, Disney stacks the deck in their own favor here because of the nature of what they do. Disney Imagineers control the entire environment and they use it to the hilt. They use the exotic location of the Florida Everglades and all of the amazing plants there and mix them artfully with sculptures, signs, structures, and sounds that create the atmosphere they want. They use the movie magic they are so good at to ensure that people waiting in line for this ride are entertained. In fact, they had to hurry people along in some places where the line was getting slowed down by people taking pictures of every little thing. The point is, you HAVE to have a line. 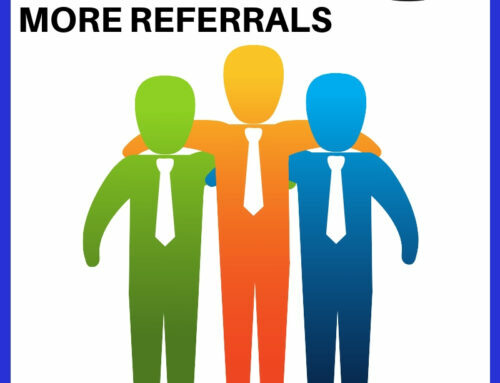 You HAVE to have receipts, emails, telephone interactions, and other infrastructure of your interaction with your client. 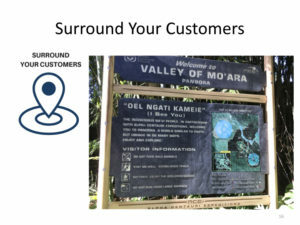 Can you add any details that will enhance your brand or their experience with this? If you have to have to have mundane infrastructure and interactions, what can you add to make it just a little more complete and special? 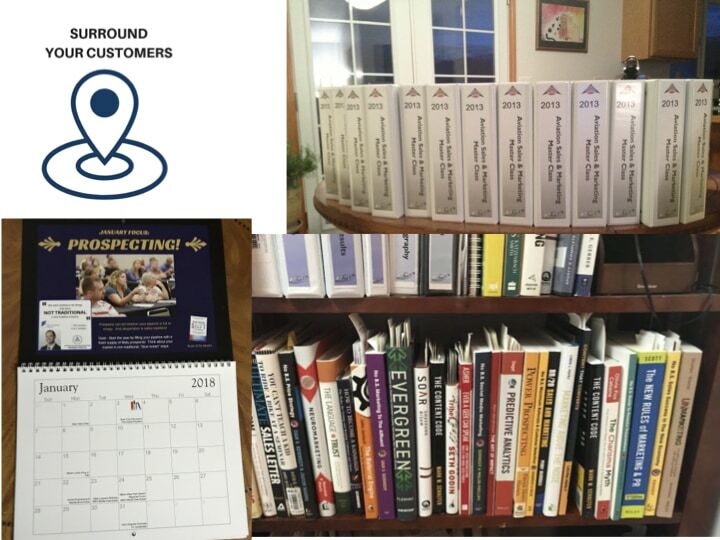 On our road trip, we noticed that the offices of many of our clients included our Wall Calendars, our Marketing Lab binders on shelves, (sometimes years of them!) and several months worth of our Book Club Selections in a bookcase. 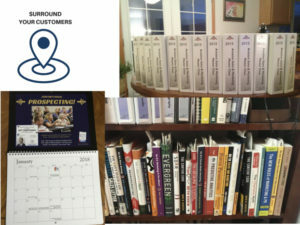 We aren’t Disney, but we can fill our clients physical environments of reminders of they skills they’re honing and the accomplishments they’re making because they are working with us. What strategies do you steal from companies in other industries? 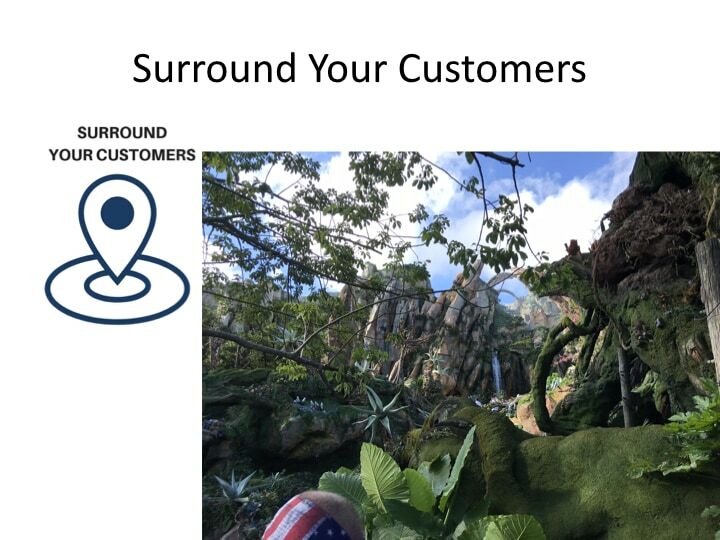 So, strange as it may seem, there are at least three key aviation marketing strategy ideas you can steal from Disney! 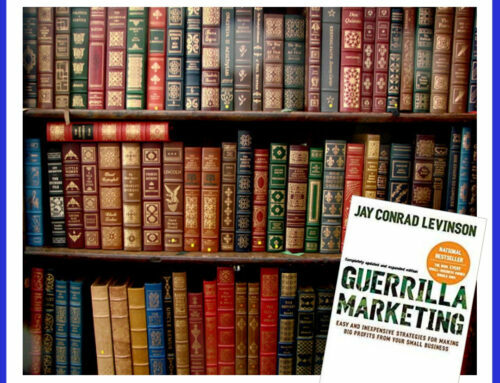 (We also borrow liberally from Apple, Tesla, Harley Davidson, and many more that we admire. You may know of others. Let us know in the comments below.